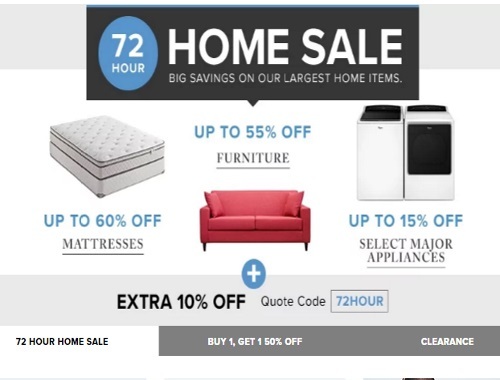 Hudson's Bay has a 72 Hour Sale on now, which includes big savings on their latest home items! This sale includes up to 60% off mattresses, up to 55% off furniture and up to 15% off select major appliances. Plus get an extra 10% off with the promo code 72HOUR.